ESPN’s Adam Schefter tweeted out another name to add to the mix that will chat with the 49’ers about their General Manager job, that being current ESPN analyst Louis Riddick. Insider alert: ESPN analyst Louis Riddick will interview next week in NY for 49ers’ GM job, per sources. For those that may have forgotten, Riddick was actually drafted by the 49ers in the ninth round of the 1991 draft. While he never played for the 49ers in the regular season, he did go on to play for the Falcons, Browns and Raiders. He then became a scout with the Redskins, and was their director of player personnel for three seasons and then spent time in the Eagles front office before going into television in 2013. 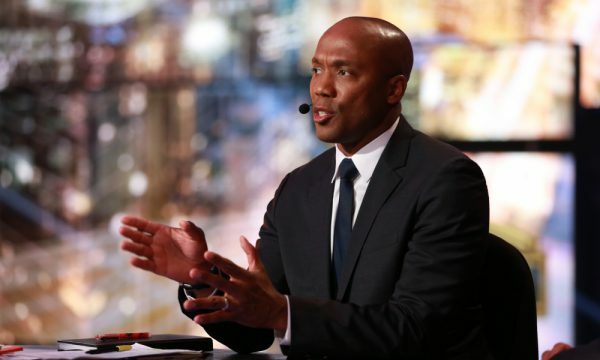 Be the first to comment on "ESPN Analyst Louis Riddick to Interview for Vacant 49ers GM Job"